New York Times and USA Today bestselling author Ruth Cardello puts two hearts on the line when a Boston billionaire takes a second chance on the woman of his dreams. Spencer Westerly is his own man. He didn’t need his father’s money to build his wildly successful tech company—and he doesn’t want to deal with the fallout from old family secrets. But as much as Spencer wants to avoid Westerly drama, his grandmother—the family matriarch—is determined to pull him back into the fold. And she’s discovered the perfect lure: his college sweetheart, Hailey. Although she broke his heart, Hailey is still the only woman he’s ever loved. Now that she’s back and looking as desirable as ever, Spencer is determined to get a second chance. This is the second book in the series, and loosely linked to the Andrade books – so any fan will be delighted with this new installment. I do think that you would enjoy this as a standalone too. Delinda Westerly has made some mistakes in her life, but she is determined to ensure her grandchildren are all happily married before it is too late and this time she is focused on Spencer. If you have read the first book, you will know that he has discovered that he isn't who he thought he was at all, and ever since he has been utterly unbearable. His family has done all that they can to make things right, but Delinda's approach is novel, to say the least! As everything unfolds this could have been a terrible mistake. We meet Spencer's first true love, Hailey, in her new role as guardian to her niece, Skye, and paid companion to Delinda. It is fascinating to watch all the relationships that develop after she finds out that Spencer is Delinda's grandson. There are some really emotional scenes, as well as one truly hilarious one. We get to see the whole Westerly family and there are distinct signs of hope that they will reconcile, and give Delinda her deepest wish after all. The second chance romance is beautifully written and the war between heart and brain is fought out over a number of weeks, but I think we all know that the chemistry is going to win and give us all the ending that we want. I look forward to finding out which sibling will be the next to fall in love! 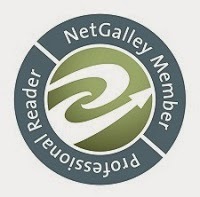 For reviews & more info, check out our In the Heir post. 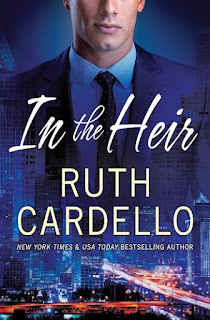 Ruth Cardello was born the youngest of eleven children in a small city in northern Rhode Island. She lived in Boston, Paris, Orlando, and New York before coming full circle and moving back to Rhode Island, where she lives with her husband and three children. Before turning her attention to writing, Ruth was an educator for twenty years, eleven of which she spent as a kindergarten teacher. She is the author of seven previous novels including Bedding the Billionaire, which was a New York Times and USA Today bestseller. 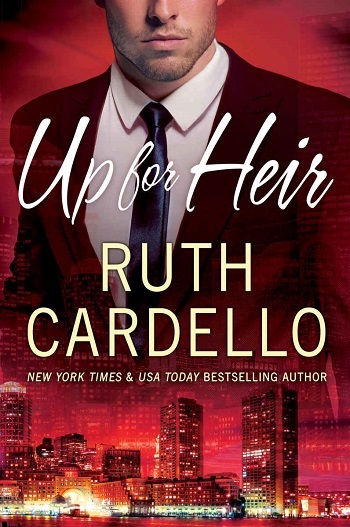 Reviewers on the Wicked Reads Review Team were provided a free copy of Up for Heir (Westerly Billionaire #2) by Ruth Cardello to read and review. The Wicked Reads Scavenger Hunt Has Begun!